Reggie Hines is an ASCAP Award Winning and Grammy nominated songwriter, producer, and international recording artist. Reggie Hines’ soulful and expressive sound has provided him the opportunity to write and perform music for a diverse roster of artists including Chaka Khan, Angie Stone, Regina Belle, and Stevie Wonder. Reggie Hines’ television performances include The Late Show with David Letterman, Live with Regis and Kelly, and a role in the film Bessie starring Queen Latifah. 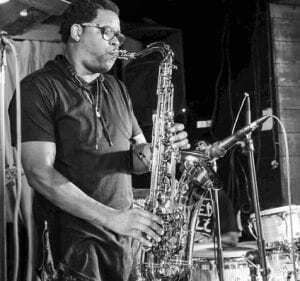 Reggie Hines has also performed in countless festivals around the world including the Montreux Jazz Festival, the St. Lucia Jazz Festival, and the Essence Music Festival. Reggie Hines’ improvisational abilities allow him to fully express his emotions through song whether he is just adding highlights to a melody, or blazing through an extended-range solo. Reggie Hines musical fluency on the saxophone has allowed him to build a resume that very few musicians can top. In his early 20’s, Reggie Hines composed several of the tracks on Phyllis Hyman’s Prime of My Life album. The song “When You Get Right Down to It” won Reggie Hines a Grammy nomination for Best R&B Song of the Year, along with an ASCAP award for his composition abilities. In the summer of 2002, Reggie Hines got the opportunity to perform with Luther Vandross on his very last North American tour. In 2006, Reggie Hines achieved another major milestone in his career by releasing his debut album, Do You See What I See. The album received radio/television airplay and put Reggie on the map as a solo jazz artist. In 2009, Reggie Hines released his sophomore album, Live Your Life. In just three years’ time it was apparent to see that Reggie’s music had evolved substantially. Live Your Life featured more potent melodies, with grooves and rhythms deeply rooted in funk. The 2014 release How I Feel, is Reggie Hines’ latest solo album and marks the launch of Reggie’s own record label, Hinesight Music Group. The album’s first single “Favorite Song” has already placed #3 on the Jazzy Soul Radio charts in the UK.